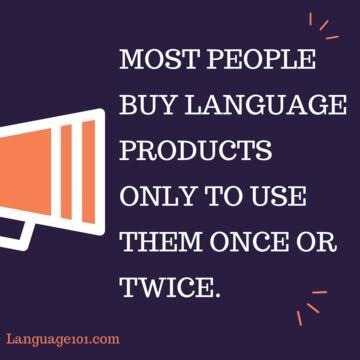 Most people buy language products and only use them once or twice! Yep, it’s a hard truth to swallow. Think of your local gym after New Years, how people swarm the place with all the best intentions, but they just don’t stick with it. And this is a BIG problem. Why? Because hitting the gym actually works! And so do certain language-learning programs. In fact, the right ones work really, really well. So here at Language101.com, we’ve set out to flip the script by creating a language motivation tool called ‘Motivation Helper’ Your best intentions will finally be good enough. What Exactly is Motivation Helper?! 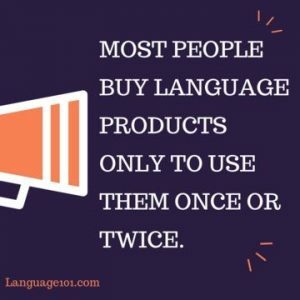 Language learning products are like gym memberships. People just don’t persevere! Motivation Helper is an innovative option that almost guarantees you’ll stick with it and learn that new language. You’ll persevere, and before you know it, you’ll be like Les. (Like who?! Don’t worry, we’ll get there). Here’s the thing. Humans are not wired to reach goals that take a sustained effort over time, and goals that don’t deliver immediate gratification. Bummer, right? It gets worse. In fact, learning a new language is psychologically impossible for 99% of people. Don’t believe me? Well, what will your evening look like? Will you be studying a foreign language, or binge-watching the latest Game of Thrones episodes? MmmmHmmm. There’s a reason why Netflix is one of the most-visited websites, while even the biggest language-learning sites are laughable by comparison. It’s because humans are wired to take the path of least resistance. Well, most humans anyway. Not Les. Les figured it out. Let’s be more like Les. Here’s how. 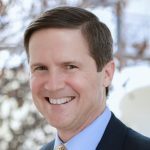 . .
Armed with little more than a strong “Why,” some mental fortitude, and our Spanish language software, Les set out to accomplish the impossible. 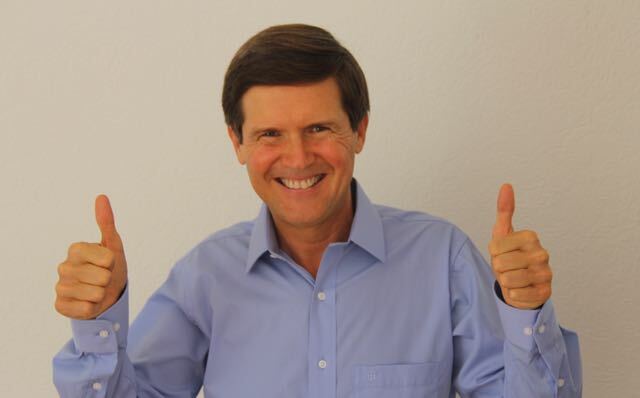 At age 74, Les learned to speak Spanish, and thus became my personal favorite success story. Yes, the world needs more of Les! Sadly, language learning success stories like his are few and far between. That is, until now. . . Losing money is the pits. So we created a money-motivating tool that will turbo-charge your language study. That’s right, with Motivation Helper you’ll lose real money if you miss your target study goal. This way, you’re almost guaranteed to study more frequently, learn faster, and finally reach your language-learning goals. . . just like Les. Your daily stakes money is the money you pay each day you miss your study goal. This number will be different for everyone, but remember — the more you stake, the more you’ll study! For best results, stake enough to feel the sting, as forfeited stakes are non-refundable. This is motivation. . . reimagined! How much you want to study is entirely up to you. Set your goal in minutes, anywhere between 15-90 minutes. We recommend 30 minutes of daily study. Optimal would be 30 minutes in the morning and 30 minutes in the afternoon. But find what works best for you. We recommend setting a commitment between 60-90 days. But find your own sweet spot and renew it down the line if you wish. The minimum here is 30 days and the max is 365 days. Study every day for optimal results. But we get it, life gets busy. With that said, we desire your success, so the minimum number of study days per week is four. Tuesday by 3 pm. Friday by midnight. Whatever deadline you choose, be sure to deliver on your commitment. Otherwise, if you miss a daily study deadline, we’ll charge your card for your daily stakes amount. C’mon, no pain no gain. Give it a shot! Motivation Helper is based on psychological research and proven learning methods.1,2,3 When money is on the line, people persevere and get results. Imagine day after day, learning your new target language inside and out. As the momentum builds, your confidence soars. And before you know it, you’re conversational in a foreign language and moving ever-closer to fluency! It’s truly a beautiful thing. Motivation Helper is now available to current and new customers. After registering for a language at Language101.com, you’ll see the Moitvation Helper option on “My Home Page.” Give it a try and you’ll be delighted with the results. Start your commitment today, tomorrow or the day after tomorrow. And if you’ve had success using similar “risk-averse” motivational tools, let us know in the comments below! The academic research that “Motivation Helpert” is based on. 1: Ayres, I. (2010). Carrots and sticks: Unlock the power of incentives to get things done. Bantam. One other non-money thing that we could add to this would be some kind of social censure if you failed to study. For example, we could send an e-mail to three of your friends that would let them know that you had failed your goal. If you have any suggestions, please add them below. “Humans are not wired to reach goals that take a sustained effort over time, and goals that don’t deliver immediate gratification…It’s because humans are wired to take the path of least resistance.” These statements sound very believable because learning a language requires passion, investing time and effort and also taking a little risk and not very many people have passion or are willing to invest time or effort, let alone taking risk. I started learning English at age 19 and later I became an ESL/EFL teacher and I am still learning. 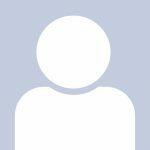 I think I had great intrinsic motivation which was fueled by my passion and I believe people can be motivated in other ways than bothering them about losing money. People certainly can be strongly motivated in other ways other than losing money. The trouble is that most of the other methods can’t simply be bought. Either you have them or you don’t. The losing money method works best when you do it with someone close to you who likes the idea and will hold you to it. Our built in version called Motivation Helper is a way to turn motivation on like a switch for many (but not all) people. People who are in the top 10% of conscientiousness don’t need this, but they are only 10% of the population. My guess is that you are extremely high in conscientiousness. Unfortunately most people aren’t. I’m doing something similar again with my 100 day plan to become fluent in Spanish.